I am in a search for new ski goggles and I found Out Of brand, which comes with a pretty good price tag. There is not much real information from real consumers on those goggles in English. 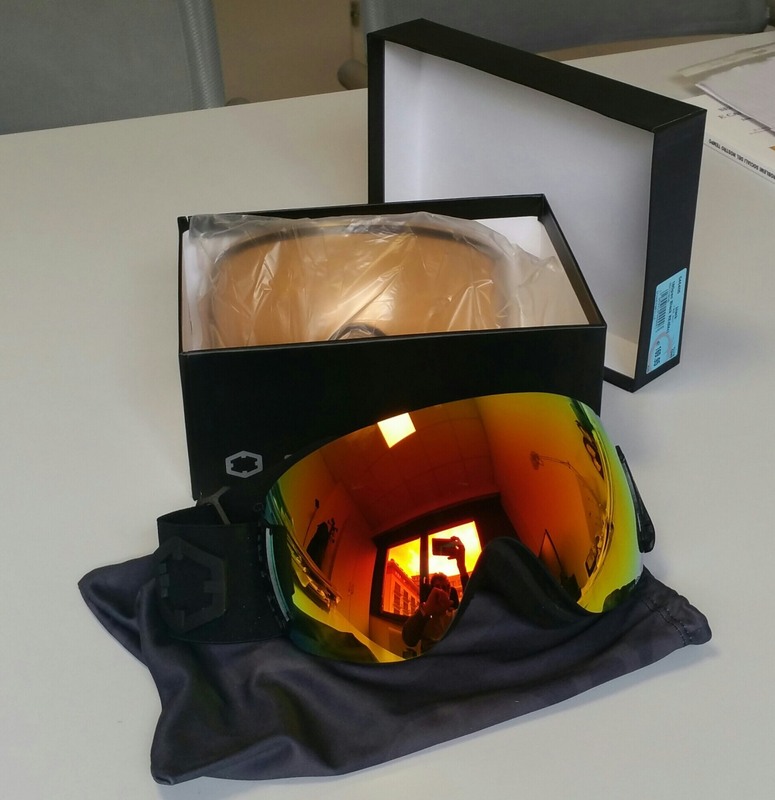 So I was wondering maybe an Italian forum can help, since its an Italian brand :) I am interested in Out Of Open goggles. Does some of you have any experience with those? How do they square off against the likes of Smith Chromapop or Oakley Prism for example? The version I am looking at has a Zeiss lens (not the One). Out Of produces really good goggles, but I've no experiences with the "Open", I have a "Shift" with "the One" lens and I like it so much. I know that the user Pizz, that is a PRO freerider, usually skies with a Out Of Open goggle, and I'm sure he's the right person to help you! The One lens must be a good choice since its an equivalent of the smith photocromic lens that is adjusting according to light conditions - VLT is said to be around 20-50%. The deal I want to take is the RED MCI + Persimmon lens... it has a price of 130€. Hi, I'm also looking for new goggles and was looking at those same ones (out of open). There are several threads in this forum where Out Of goggles are discussed but unfortunately they are all in Italian. People seem to like them a lot, though, and I don't recall coming across any bad reviews. As for the lens, on their web site they have a lens simulator that lets you compare the different kinds. Of the ones you can compare on there, personally I like the Red MCI best. I heard great things about their photocromatic lenses as well but they are much more expensive. I am sure that The One lens is a good one but I am little bit doubtful about the "standard" Zeiss lens. But on the other hand its still Zeiss and it shouldnt be bad... normally Zeiss associates with top notch optics. I've all the goggles produced by out-of. At the moment the best choice is SHIFT, very confortable, really quick interchangeable lenses, good price. OPEN is a bit larger but i think SHIFT is more confortable. If you'll buy an out-of take a The One Lens, cause it's the best goggle lens ever made! At the end I ended up getting them - Out Of Open with Red MCI lens. Ordered it on monday on Blue tomato for 130 euros, and got delivered today. They look like really nice, high end goggles. Nice case, fancy carrying bag, plush foam, good finishings. The lens looks good from what I can tell - can't wait to try it out this weekend. Only thing is, they are not as big as they look. I mean, they are really big on the outside but in terms of size they are probably a medium. My face is not particularly large and they barely fit me. I tried them this weekend - the red mci lens works well with changing conditions (occasionally cloudy) and for most of the time it was full sunshine and even then, they were fine... maybe they could be a bit darker but then again they would not be as good when there's less light. I like the natural grayish/blueish tint, i used to have orange and they weren't that good...it altered the colours too much and things didn't look natural. With Red MCI lens its quite good, although I don't have much to compare them with. I think I've nailed it with this one, i was hoping to get 1 good all-around lens that would work well with most conditions and when it gets foggy and stormy, the persimmon lens would be for that. As far as size goes - yes they look big because they have no frame, but size-wise they are medium and fit me well. I tend to be more on a small or medium size.